A new spin on an old arrangement, this vase full of just tulips varies the style by combining Parrot Tulips with plain garden Tulips for a nice contrast and fresh new look! It's encompassed by aralia leaves and housed in a ti-leaf lined chop vase. 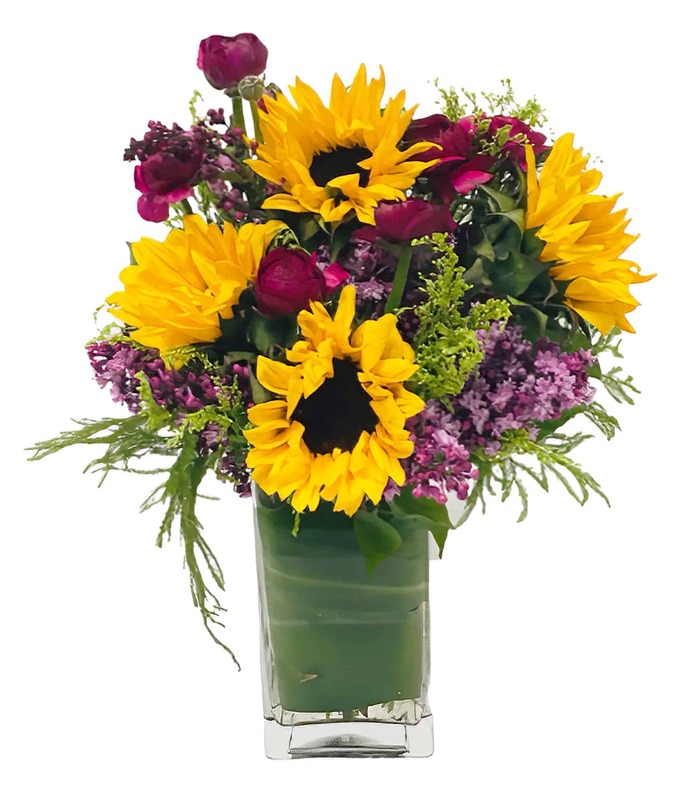 Celebrate a special occasion or let someone know how special they are with this charming arrangement!